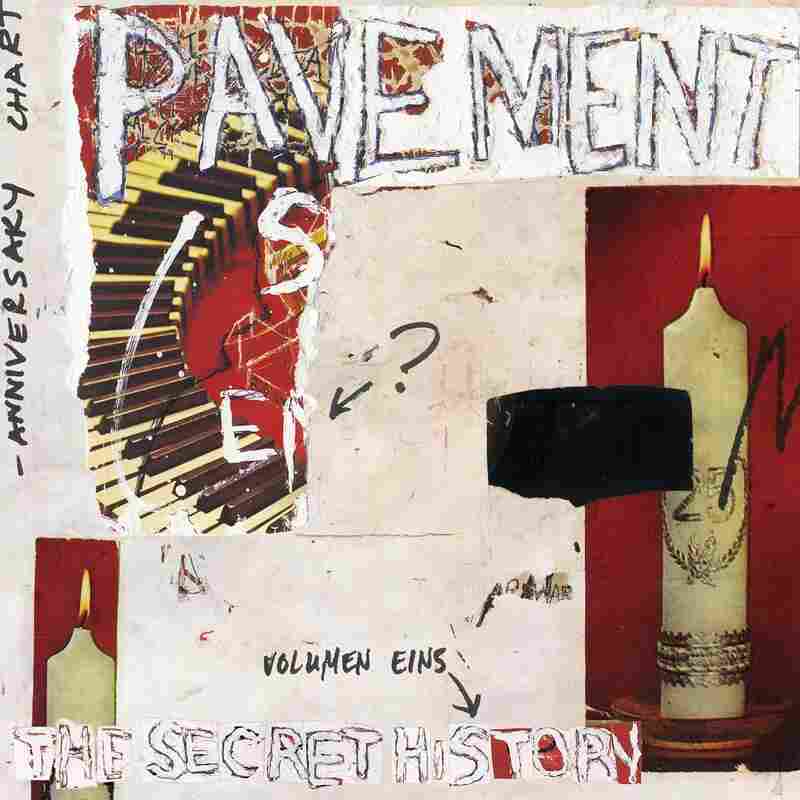 Review: Pavement, 'The Secret History, Vol. 1' In the early 1990s, Pavement was especially rough around the edges. A new collection of unreleased recordings from the era captures the band's absurd charm. Pavement's minor MTV hit, "Cut Your Hair," came out in 1994, and the song's offbeat, ramshackle charm introduced the cult indie band to a broader audience. It also marked the end of an era. Pavement had been releasing records for five years at that point, most of them shaggier and noisier than the weirdly winning "Hair." Yet despite the absurdity and abrasiveness at its heart, the band had been swept into the alt-rock mania of the mid-'90s. The Secret History, Vol. 1 — a new, 30-song collection of EPs, B-sides, outtakes, alternate versions, compilation tracks, radio sessions, and live recordings — is a reminder of just how challenging Pavement was in those Alternative Nation years. And just how entrancing. "Cut Your Hair" does not appear on The Secret History, Vol. 1. But its precursor, "Summer Babe," the song that prefaced 1992's epochal album Slanted And Enchanted does (in a "7" version"), and it's as bracing as the day it came out: Over fizzy distortion and lopsided drumming, singer-guitarist Stephen Malkmus (then still identified as "S.M.") croons longingly, surreally. But it's the "Babe" B-sides, particularly the galloping "Baptist Blacktick," that show just how evenly Pavement could split itself between post-punk experimentalism and pop abandon. Other studio rarities like "Sue Me Jack" and "Greenlander" highlight another tension lurking in Pavement's grainy, lo-fi approach: shambolic jams versus barbed anthems, with neither side ever fully winning. When it comes to History's radio sessions — recorded for the BBC's legendary John Peel — Pavement doesn't skimp. Stand-outs include "Ed Ames," which, despite sharing a name with an easy-listening crooner, finds Malkmus faithfully channeling Lou Reed's deadpan storytelling; "Circa 1762," featuring sporting a chorus wherein a collegial, back-and-forth vocal lives beside thorny riffage and bleary guitar solos; and "Kentucky Cocktail," openly flaunting a debt to the Pixies' "Where Is My Mind?," its frantic static smeared over a rollicking bassline. History ends with a full live set recorded in 1992 at London's Brixton Academy; fresh off a tour opening for Sonic Youth, Malkmus and crew explode on stage, equally mysterious and urgent, while infusing early "classics" like "Box Elder" and "Perfume V" with an erratic euphoria. Riches abound on History, but one thing you won't find are surprises. These songs have all been floating around for years, either on their original releases, as bonus reissue tracks, or as bootlegs. But bundling them has a purpose besides commerce: In a recent Pitchfork interview, Malkmus called History "the album that could have been between Slanted and Enchanted and Crooked Rain [on which 'Cut Your Hair' appears]." He's right. There's coherence to the chaos of these 30 misfit songs, each one a self-sabotaging gem. Strung together, they speak powerfully to the way Pavement celebrated song-craft while gnawing at its foundations. If the '90s had turned out differently, Pavement could have been as popular as, say, Weezer. Instead, History declares they were always destined for something stranger.